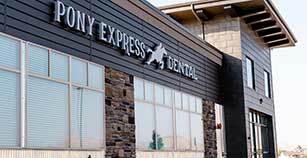 Pony Express Dental welcomes you to visit one of our three convenient locations in Draper, Eagle Mountain, or Daybreak. Our mision is to have the very best staff consistently delivering great dental experiences as we inspire hope, raise self-esteem and improve the lives of children and adults in our community. Nothing you wear is more important than a smile. At Pony Express Dental, we strive to to bring the very best to our patients, and ensure that our friendly dental team, comfortable environment and experienced dentists bring a smile to your face. Our team is united in providing, quality care and creating long lasting relationships, where kindness and respect are valued, and met with exemplary modern dentistry. We are proud to provide life-changing, full-service dentistry in Draper, Eagle Mountain, and Daybreak, Utah, and surrounding communities. The Pony Express team is committed to helping you create the perfect smile and maintain it for a lifetime. You are busy and you want your dental visits to be on-time, comfortable and fun, so when you visit us, you can count on an on-time visit in the most up-to-date and comfortable office in Utah. You deserve the best…timely, comfortable, friendly, comprehensive, technologically-advanced and honest dental treatment that you can afford. Contact us today to schedule your appointment. 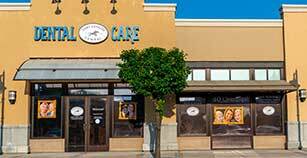 At Pony Express Dental, we treat the entire family for important dental services such as cleanings, oral exams, and any needed restorative care. At Pony Express Dental, we can help you create a customized treatment plan utilizing cosmetic dentistry to create the smile you have always wanted. Dr. Chamberlain, a board certified and experienced orthodontist, has dedicated his career to helping others fulfill their goal of creating a healthier and more beautiful smile. Our doctors are experienced working with children of all ages and have a passion for making each visit for your child worry free and enjoyable. Pony Express Dental has an amazing staff! They actually listen to your needs, wants, desires, and more! The Dentist and Orthodontist are the best in Eagle Mountain and Utah County! 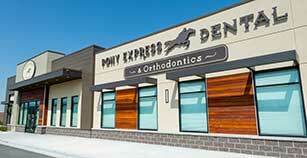 I highly recommend Pony Express Dental to everyone and anyone! I love to come and see the orthodontist because the building is decorated so well and they have good people working there. They are so nice and even gave me a gift card! This place is the best place I've been to, when I got my wisdom teeth done here I was back up and running in one day! Sure love this office! Can't wait to come back again! State-of-the-art facility offering General & Cosmetic Dentistry, Orthodontics and Pediatric Dental Care to Daybreak and surrounding communities. State-of-the-art facility offering General & Cosmetic Dentistry, Orthodontics and Pediatric Dental Care to Eagle Mountain and surrounding communities. Luxurious dental office offering General & Cosmetic Dentistry to Draper and surrounding communities. We are committed to treating our patients the way we ourselves want to be treated, with compassion and integrity. We consistently survey and listen to our patient’s needs and desires…and exceed both of them. We pride ourselves on open and truthful communication between all patients and office staff. We are committed to continually educating our team in all phases of dentistry, orthodontics, business and life. We have knowledgeable, respectful, kind and detail-oriented doctors and team members. My 14 year old son Cade just got his braces on from Dr. Chamberlain! He said, “they are very thorough and knowledgeable, making my appointment to get my braces on easy and comfortable.” We highly recommend Dr. Chamberlain and the staff for orthodontic treatment. We were just planning on coming in for a second opinion, but we were blown away. The staff was so friendly! We loved the tour, they really made us feel comfortable. The video was great and the little gift bag for our son was so sweet. We definitely want to continue with you guys as our orthodontist. Thanks for making us feel so welcomed! Great place to go. My daughter had an emergency and they were able to get her Right in the same day! The office staff is so wonderful and friendly. Dr. Chamberlain is the best orthodontist out there. He really takes the time to come up with the best plan and not jump to braces and pulling out teeth. He takes special care of each patient. He also has the latest style and innovations for braces. He is current and up to date. There is no other orthodontist I would have my children go to.